Are there consequences to social media? The adoption of social networking sites has been nothing less than spectacular. While once Google and other search engines reigned as kings, sites such as Facebook and Twitter attract more attention and more hours each day from nearly a billion users. Visits to Facebook and Twitter are at an all-time high. 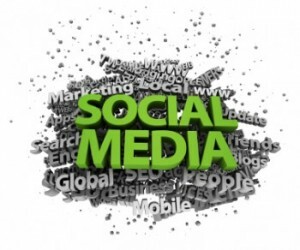 It has been reported that over 1 billion people are using social media sites, with Facebook in the lead. Most people that frequent social media sites have more than one on which they post. As of today, Facebook alone has about 750 million active users. This puts the nation of Facebook, if there were such a thing, as the third largest country in the world. There are some harmless results of social media that take the kind of shorthand used in SMS’s, to the messages used on the web, to e-mails. Initialisms such as BRB (be right back), LOL (laughing out loud) are becoming spoken acronyms and creeping into other written forms of communication. This is changing the shape of the English language and, according to some, creating its own new dialect. This isn’t just affecting a small number of young people, either. According to the Wall Street Journal, 38 percent of 9-12 year olds are using social networking sites. In addition, an amazing 77 percent of 13-16 years olds are frequenting these types of sites. How does this impact their social interaction? In many ways, their privacy is lowered. Sharing secrets on the playground or in the lunchroom can be subject to gossip on a small scale. Sharing personal information on line that may be sensitive or embarrassing leaves these children exposed to all of cyberspace. Sometimes, this has devastating consequences. Cyber-bullying has resulted in suicides in more than one case. Regular bullies may bother a child at school, but cyber bullies are able bother them wherever they go in much more insidious ways. As well, many young people become highly reclusive, preferring to interact with people in video games and go to online schools as opposed to going outside and actually speak with other people. Society is still coming to grips with these unanticipated impacts on social interaction. People who are less mobile, such as the elderly, can find great comfort in meeting others online. People with disabilities, who are shy, or have limits on their ability to travel all have their social lives enhanced through social networking. Those that live in remote areas or areas far from others with shared interests may also find new friends and enjoy enhanced lives through interacting long distances on line. Where once, a local stamp collecting group may meet monthly with a dozen or so members, these same people can meet with millions around the world on a daily basis to share exponential amounts of knowledge. Loving relationships can even blossom online, as evidenced by the boom of online matchmaking sites. These types of interactions are considered to have a significant positive impact on society. Yet there can be risks to making friends with people whose faces you have never seen. One such risk is that your friends may not be who they say they are at all, and may even be trying to scam you. When you meet friends at a party or public place, there is often a social group that will recognize you and create a record if you meet and leave together. Online interactions have no such “audit trail” and relationships can go on for months or even years without having a clue about each other’s true identities, and without anyone else actually knowing. After establishing trust, online stalkers and predators will set up meetings with unsuspecting victims and the results are sometimes front page stories. There are some excellent tips for safely meeting a cyber-friend in person here. Those of us that may have strong political ideas have traditionally kept to ourselves or voiced them within a small social group. Our voices would not be heard on any large scale and the result of our thoughts, no matter how earth-shattering, were insignificant. The only people that could get a voice about political issues, were professional politicians with financial backers and qualities that people found appealing. This is no longer the case. The average person is able to gain a voice and join with others to make their political and social statements heard. Instead of idle chatter with a few friends over coffee, those with social change in mind are meeting in virtual town squares by the thousands and even millions to demand change and solidify their power. This was never possible until social networking arrived. Twitter and Facebook have been so powerful in creating change in Iran and Egypt; countries like China have banned these social sites completely. With the advent of social media, otherwise disconnected people are able to connect and organize at levels frightening to many governments. On Feb. 12, 2009, 202 cities around the world took part in Twestivals. This was an online event to raise money for “charity: water.” Charity: water helps to provide drinking water for people around the world in need. They dig wells or find the best solution for the situation. They’ve helped millions so far. The Twestival event raised more than $250,000 for the cause. There was also a “Tweetsgiving,” a project by Epic Change that managed to raise $10,000 in 48 hours for a school in Tanzania. Beyond that, there was a 12-hour “Tweetathon” that raised money and awareness for “Water is Life.” The “Well Wishes” campaign enacted by Laura Fitton utilized Twitter to raise over $20,000 for charity: water by asking just $2 from each of over 12,000 people. The low amount was possible because of the great number of people on her list of followers. Since social media has the ability to contact so many people, events like fund raising and helping others have become much easier to organize and promote. Some of the events become viral and don’t require the usual meetings, flyers and bulk mailings that were needed before. In this way, those that act for social good have had their social interactions revolutionized by social media. Social networking is here to stay. Twitter, Facebook and other leading social networking sites are growing at 2-4 percent each month and more. New applications are springing up all the time that continue to revolutionize social interaction. The impact of the prevalence social media in our lives can be a mixed bag. Sometimes there are suicides, and sometimes entire countries are liberated. As when humans first came to handle fire, we have to accept the dangers with the benefits, and take the time to understand how best to handle these innovations.